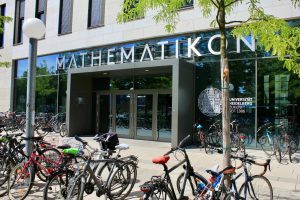 Registration, introductory workshops, and the welcome reception on the first day of our conference will take place at the beautiful premises of Mathematikon. 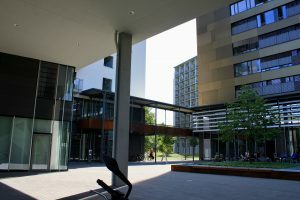 This new building was opened in 2015, and it brings together mathematicians and computer scientists at the University of Heidelberg under one roof. In addition to numerous offices, classrooms, seminar and work group rooms, and a lecture hall, the Mathematikon complex also offers several options for shopping and dining. Visit the Mathematikon website here. The second and third days of the conference will be held at the Marsilius-Arkaden of the University of Heidelberg. Built in 2016, these modern premises provide an inspiring environment for our action labs. Visit the Marsilius Kolleg website here. 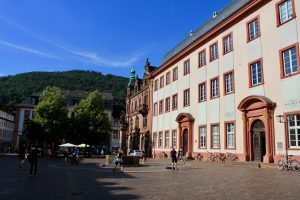 The Old University building, which was built between 1712 and 1728, is one of the most popular attractions in Heidelberg. It houses the Rector’s Office, as well as the university museum and the historic students’ prison (Studentenkarzer). Our closing ceremony will take place in the magnificent Great Hall (Alte Aula), which is located on the first floor. Visit the Old University Building website here. Please find a full list of restaurants, cafés, bakeries, etc. that are located near the conferences venues here.